WHAT'S THE YOUNG MESSIAH ABOUT? Based on the Anne Rice novel Christ Our Lord: Out of Egypt, this film explores the fictionalized, non-Biblical events of Jesus Christ's seventh year. (Buy or rent it here). Beautifully-shot and featuring a moving musical score by John Debney (The Passion of the Christ), your appreciation for The Young Messiah will depend upon whether a “what if?” approach to Jesus' life strikes you as fascinating or as offensive. Many films (like Risen and Ben-Hur) create fictional characters who interact with Christ; others (like Son of God and Jesus of Nazareth) stick to the Bible and flesh out a few elements here and there. This is the first of which I know that presents Jesus as the central character in a non-scriptural story. The film speculates that Jesus was able to heal others since his childhood and that the devil was already tempting him, and that both of these frightened him as he was unaware of where he came from and what his mission was. It shows his kindness and compassion, his love for and knowledge of the scriptures, and his sinless nature. The filmmakers are clearly sincere and the screenplay is true to the mission of Jesus Christ as found in The Bible. The acting varies in quality; Jonathan Bailey as Herod and Rory Keenan as Satan overplay their parts (the latter bears such a resemblance to Nickleback lead singer Chad Kroeger that he took me out of the movie with every appearance). On the other hand Sean Bean (The Lord of the Rings) is excellent as a Roman soldier on the hunt for the child Messiah, the actors playing Mary and Joseph are solid, and Adam Greaves-Neal offers a balanced, thoughtful performance in the title role. It's a solid film, albeit slow-moving at times, and worth the watch if you're curious. 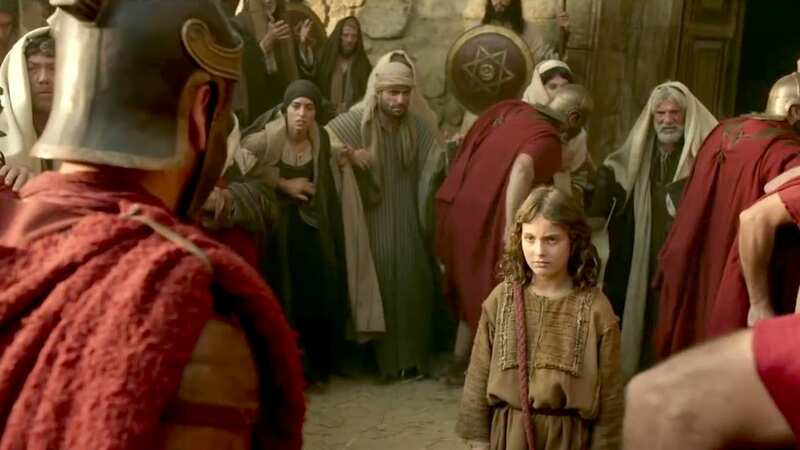 The Young Messiah is rated PG-13. It has one use of the word “damn” and a mildly sensual scene where a woman dances before Herod. It's fairly violent, with Jews and Romans killing each other in battle, intense flashbacks of soldiers murdering children under Herod's orders, and several scenes depicting crucifixion. Your mission and purpose in life will be revealed to you as you go along. Kindness to others is never a waste of time or energy. Children are mature enough to have answers to the questions they pose. INTERESTED IN THE YOUNG MESSIAH? TRY THESE AS WELL!